The Vice President, Dr. Mahamudu Bawumia has said the creation of the North East Region is yet another campaign promise delivered by the Nana Addo- Dankwa Akufo-Addo led government. 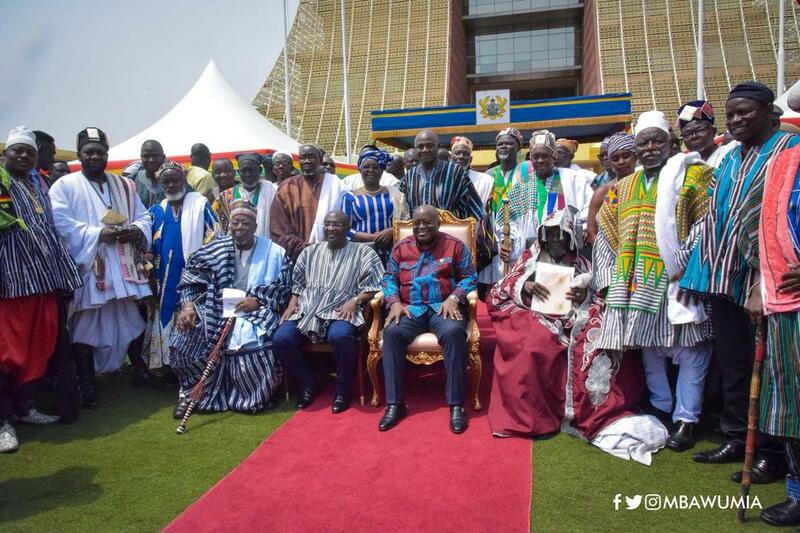 The Vice president who joined president Akufo-Addo and other state officials earlier today Tuesday February 12 2019 to witness the presentation of the Constitutional Instrument (CI 116) and attestation documents to the Chiefs and people of the newly created North East Region at the Jubilee House, Accra, congratulated the sons and daughters of the new region for the attainment of a region. 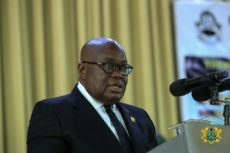 He said ‘’the creation of North East region, is another sign of the NPP’s government’s commitment to fulfilling the promises it made when it sought the mandate of Ghanaians in the 2016 elections’’. ‘’The new administrative region is expected to enhance economic opportunities and bring governance closer to the people of the area’’. Meanwhile the Constitutional Instrument and the attestation documents for the Savanna Region will later this afternoon be presented to the chiefs and People of the area. The Bono East and Ahafo, Regions will receive their CI and attestation documents tomorrow Wednesday February 13, 2019 and then the Oti and Western North regions on Friday, February 15, 2019.